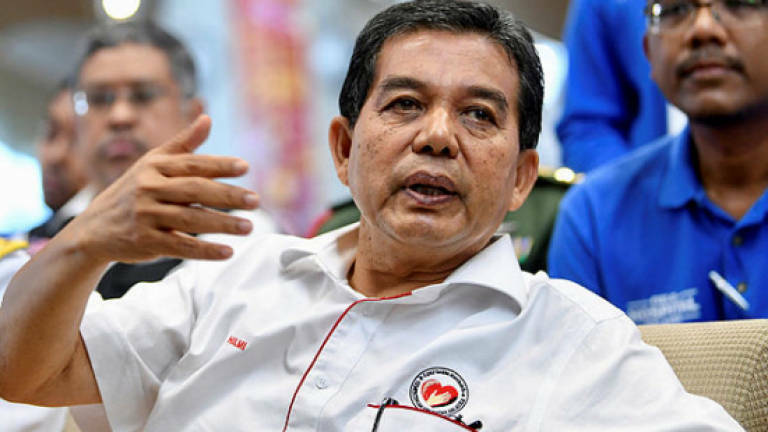 18 Feb 2018 / 22:32 H.
SEPANG: The operation of the Malaysian field hospital in Cox's Bazar, Bangladesh, which caters to the medical needs of Rohingya refugees since Dec 1 last year, will continue until the end of this year, according to Deputy Health Minister Datuk Seri Dr Hilmi Yahaya. As such, he said a discussion would be held at the ministry level to plan the deployment of its staff to the field hospital in stages. "The (deployment) plan was initially made only for three-month period. Now that the operation of the field hospital will be extended until year's end, a discussion needs to be convened to make new plans." He said this to reporters after welcoming the return of the third team comprising 41 staff who had served at the field hospital in Cox's Bazar, at the KL International Airport, here today. Earlier reports stated that the field hospital operation, coordinated by the Ministry of Health with support from the National Security Council, Foreign Ministry and Malaysian Armed Forces, would only be for three months, ending on Feb 16. At present, Dr Hilmi said the Malaysian field hospital in Cox's Bazar remained intact with nine logistic staff currently monitoring the situation and medical equipment. The fourth team will be deployed after the discussion, he added. On the operation of the field hospital between Dec 1, 2017 and Feb 14, 2018, Dr Hilmi said it had managed to provide treatment to a total of 6,578 patients, carry out 218 surgeries and deliver 31 babies. During the period, 144 staff from the ministry were deployed to Cox's Bazar, with changes made every fortnight for specialist doctors, every month for the paramedics and every three months for the logistics staff, he said. "There must be 50 staff on duty at the field hospital at any one time. They comprised medical experts from various fields, such as surgery, anesthesia, obstetrics and gynecology, pediatrics and psychiatry. "Other staff were medical officers, pharmacists, nurses, medical assistants, environmental health assistant officers, x-ray technicians and lab technologists," he said. Dr Hilmi also described the planning, setting up and operating a field hospital in Cox's Bazar, Bangladesh, as a valuable experience for the ministry's staff involved. The humanitarian crisis in the Rakhine region in Myanmar became critical since August last year as more and more Rohingya refugees entered Bangladesh daily, causing many refugee camps to be set up. Malaysia was the first country to set up a field hospital in Cox's Bazar to cater to Rohingya refugees who fled west of Myanmar due to military operations.